This new Ford Super Duty showed up around January 2010. Notice the vertical exhaust behind the cab, normally used on vehicles that operate in wet/swampy areas. 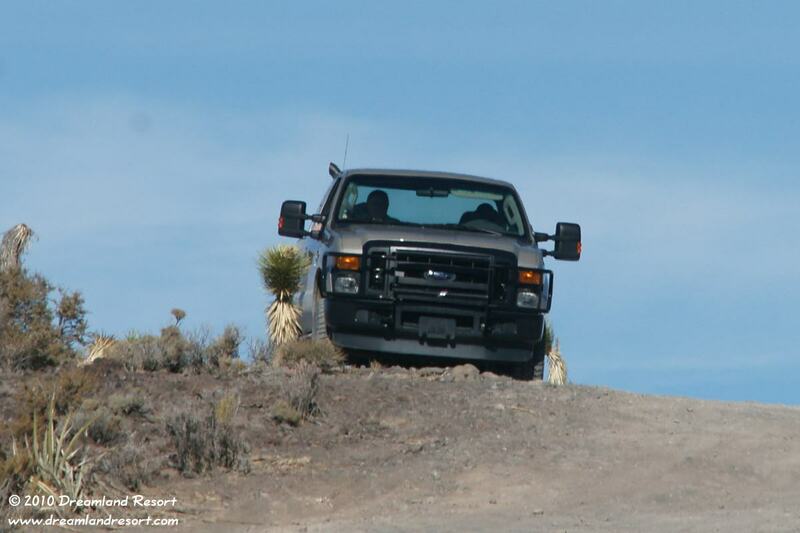 It appears to be the Ford SORV (Severe Off Road Vehicle) package for the F-350 series. The package includes a breather kit for 29" fording capability, upgraded transmission, 4WD and suspension, skid plates and kevlar tires. These vehicles are used by the US border patrol and the US Army. Photo by our reader "wheresjanet", with friendly permission. Information on the SORV package provided by Zipper.